Sweet potatoes, carrots, and acorn squash form a natural partnership—their flavors are complementary, but with enough variation to promise something a little more interesting than your typical root-vegetable latke. Freshly grated ginger delivers a bright heat that cuts right through the vegetable base, which gets rounded out with smoky paprika, a pinch of cumin, and some floral coriander. Working in roughly 2-cup batches, wrap carrots, squash, sweet potato, russet potato, and onion in cheesecloth that has been folded over twice. Tie corners around the handle of a wooden spoon and twist bundle until liquid flows out and vegetables are dry. Add squeezed vegetables to a large mixing bowl and toss to combine thoroughly. Stir in ginger, paprika, coriander, and cumin. Mix in eggs and matzo meal. You should be able to form patties that just stick together in your hands; if the mixture is too wet, add more matzo meal, 1 tablespoon at a time, until patties can be properly formed. Stir in salt and pepper. 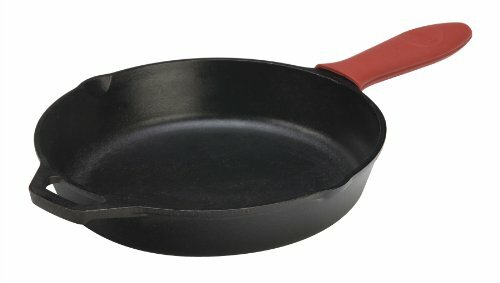 Heat 1/2 inch oil in a cast iron skillet over medium-high heat until a shred of potato immediately bubbles when dropped in. Form a small amount of latke mixture into a disk and fry on both sides until golden brown to test for seasoning. Taste and add more salt and pepper if needed.